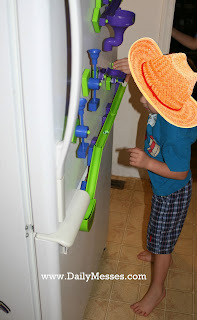 Daily Messes: Fun on the Fridge with Frigits! Fun on the Fridge with Frigits! Back when we were first married, or maybe when he was still in college (it's been so long that I can't remember), I bought my husband Frigits. 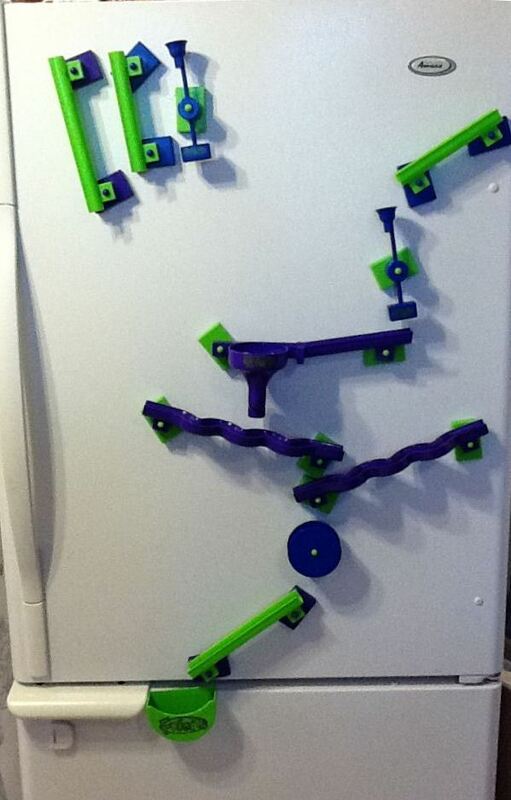 Frigits is a magnetic marble track for your refrigerator. You have to line the track up correctly to get a marble from the top down to the cup at the bottom of the track. Yes, I bought my husband a toy. It definitely amused him, until we had toddlers running around and had to put it way so they wouldn't swallow the marbles. However, now that they are old enough not to put the marbles in their mouths, I pulled it back out again. They love it! It's great when I'm cooking dinner and they are following me everywhere because now they have something to do in the kitchen. It makes them think, analyze their design, and persevere until they achieve the end goal (in this case, the marble in the cup). Amazon sometimes carries it, or a local toy store might. There is a similar product called Wall Coaster that received good reviews on Amazon. It can be hard to find the Frigits game, but I think it's worth it! If you can't find the game, you can also make your own! to paint before attaching the magnets! 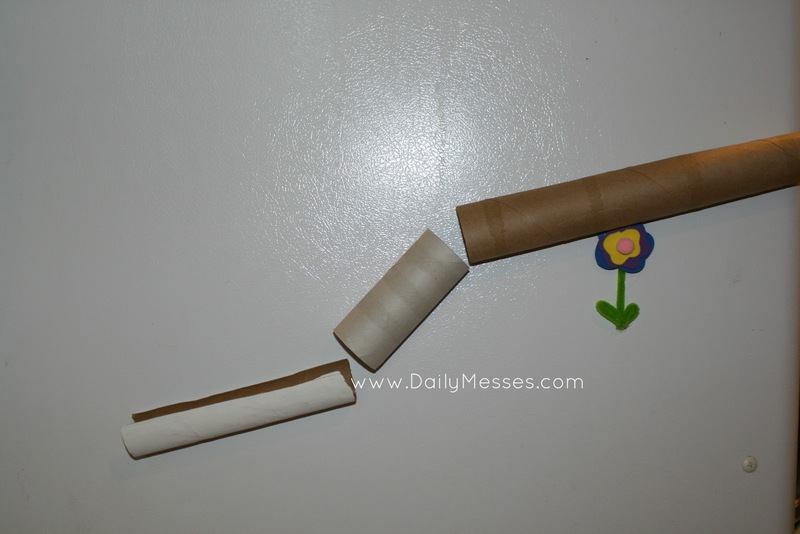 Option 2: Cut PVC pipe and attach really strong magnets. 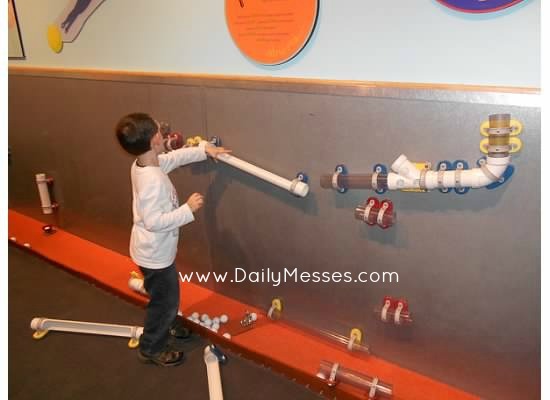 used golf balls instead of marbles!